Pedro Villagra Delgado currently serves as the Sherpa for Argentine at the G20. 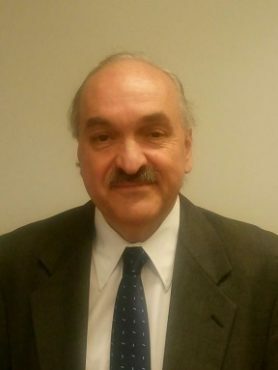 A career diplomat, he joined the Argentinean Foreign Service in 1978 after graduating with Silver Medal from the Argentine Foreign Service Institute in 1977. From 1980 to 1988, he served at the Permanent Mission of Argentina to the UN and from 1992 to 1996 as Consul General in London. From 1988 to 2001, at the Foreign Ministry in Buenos Aires, he held several positions including as Director of the Division for International Security at the Ministry of Foreign Affairs. From October 2005 to January 2016, he was the Argentine Ambassador to the Commonwealth of Australia and Dean of the Diplomatic Corps in Australia. Between 2016 and 2017, he successively served as Chief of Cabinet of the Foreign Minister and Deputy Foreign Minister. Over the years, Pedro Villagra Delgado has headed numerous Argentinean delegations to international negotiations and conferences. He also is a recognized expert for the AIEA on nuclear matters, safeguards and non-proliferation. He has published on international security, non-proliferation, disarmament and democracy and human rights both in Argentina and abroad.